The historic inaugural draft to fill the rosters of the new CAFL is complete. 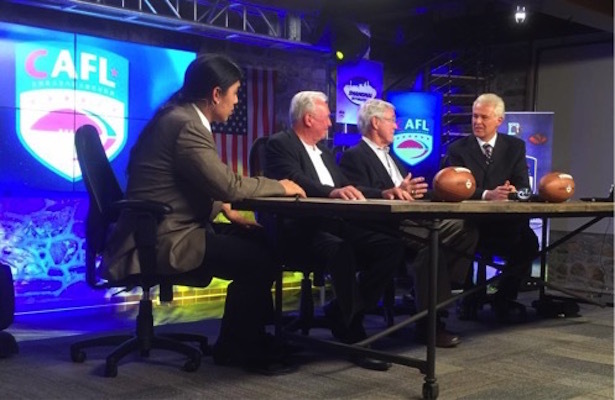 The CAFL Draft Show, airing live worldwide, was seen in over 35 nations. Players were drafted in like manner, hailing from 5 different nations by our current count. The program, which ran 2 1/2 hours, can be seen on demand at CAFLDRAFT.COM now, and soon in Mandarin at CAFLCHINA.COM, our brand new website in China. Click here to watch the on demand CAFL Draft! For full details on each team’s rosters, go to 1:45 into the program. We are accumulating data, but below are the raw results of the draft, round by round.